Farmers are scared to death of locusts. A single swarm can cover over 100 square miles and might contain hundreds of millions of ravenous insects that can totally strip land of plant life. The most recent major infestation was in 1915 near Jerusalem—a place where it’s difficult to grow food in the best of circumstances. When an enormous swarm of locusts swept through, it caused a major famine, devastated the population, and left a wasteland void of all hope. Lie 7: Your marriage is hopeless. Right before marriage blooms into what it’s supposed to be, most (if not all) of us come right to the edge of hopelessness. I know. I was there. My wife and I felt bitter anger towards each other, so much that we wished we could be done. Had we not burned the bridge of divorce, it might have been a legitimate option on our list. In the Batman sequel, “The Dark Night,” Harvey Dent said, “The night is darkest just before the dawn. And I promise you, the dawn is coming.” Let me say the same thing. If you feel that you are at the end of your marriage, if you’ve gone to the way of your flesh, or if you look across the table at night saying, “I don’t even like you anymore.” You’re right on the doorstep of what God has for you. Don’t give up now. Reach for the promises of God. God, in the midst of these troubles, I trust in You and You alone. Heal my heart and give me hope for my relationship. I fix my hope on You, focus my mind on You, and depend on You to live through me so that I can walk in Your Spirit today. Amen. Unfortunately, many Christians today have only a vague idea of what they believe and why they believe it. 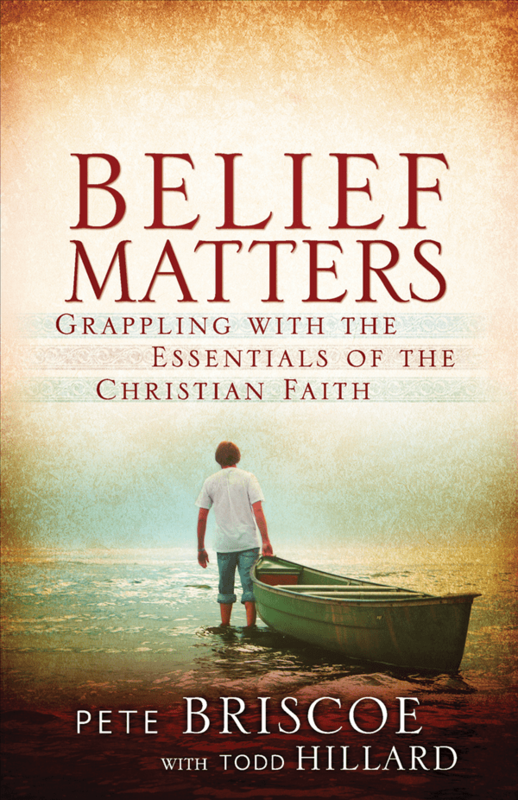 In his thought-provoking book, Belief Matters, Pete gives you tools to strengthen your belief as he walks you through every major aspect of the Christian faith and shows how to effectively communicate them to others. Belief Matters is our gift to thank you for helping more people experience Life in Christ. So please request your copy when you give to Telling the Truth today.